ATLANTA (JTA) — Almost everything there is to know about the state of Hillary Clinton’s supporters is there in the cocked head and defiant smile of Audre Rapoport, 84, of Waco, Texas. “I don’t think she’s dead yet,” Rapoport said with a smidge of sarcasm and satisfaction at a VIP reception honoring her husband, Bernard “B” Rapoport, 90, for his volunteer service to the Jewish Council for Public Affairs (JCPA), an umbrella body of 14 national Jewish agencies and 125 community relations councils, at its annual plenum here this week. The central theme of the three-day conference was confronting poverty, and a host of resolutions on foreign and domestic issues dominated policy discussion. But in the hallways and informal gatherings, much of the talk centered on the elections. Audre and Bernard Rapoport have been “Clinton fans” for decades, she said — it was 1972 when B and Bill helped run the McGovern campaign in Texas. With the approach of the pivotal March 4 primaries, which could crown Barack Obama the Democratic presidential nominee unless Clinton wins both Texas and Ohio, many of the roughly 400 people attending the JCPA conference, a bastion of liberal Democrats even among Jews, grappled with the endgame. While Obama commands plenty of Jewish support — and most Jews are expected to carry on the tradition of voting Democratic regardless — there was significant talk, given Clinton’s popularity with many Jewish voters, of the possible need for Jewish peacemaking with an Obama presidency. And in this regard, the key point is Israel — checking and touting his bona fides and rebutting e-mail rumors to the contrary. Meanwhile, there are those gearing up to vote who have yet to decide on a candidate. Political observers say the considerable Jewish population of Ohio could have a critical say in this election. “My son is in the military so all my options are open,” said Bruce Lev, 54, a developer from Youngstown, Ohio. “McCain scares me” with talk of continuing war. And Obama’s comments about talking to U.S. enemies, Lev added, could make the U.S. president appear weak. “So many of my peers can’t make up their minds,” Barbara Rosenthal of Cleveland said, referring to the over-70 crowd. A staunch supporter of Clinton, Rosenthal has already cast her vote early. But she expressed concern about the unknown variables of Obama, whether his stance toward the U.S. judiciary or the Palestinians. Many Jewish communal officials at the JCPA plenum say that they are fielding questions about Obama, questions triggered by e-mail rumors that falsely state he is a Muslim or receives funds from the Nation of Islam. “I get tens of e-mails a day saying, ‘Is this true? Is this true?’ And I steer them to the NJDC Web site,” said Marc Stanley, 50, a Dallas attorney, who chairs the National Jewish Democratic Council. U.S. Rep. Robert Wexler (D-Fla.), who is backing Obama, tried to disabuse the JCPA audience of any Israel-related concerns with a bit of humor. “Needless to say, I’ve never heard it before, but I’ll assume some people have some questions” on Obama’s position on Israel. He went on to list Obama’s attributes, including his letter to the U.S. ambassador to the United Nations urging the U.N. Security Council to condemn rocket attacks against Israel, his rejection of the right of return before a Palestinian audience and his support of sanctions against Iran. Wexler followed remarks by former U.S. Ambassador Stuart Eizenstat, who was speaking for Clinton and called her “someone who has shown by action where she stands on the U.S.-Israel relationship.” He cited as examples her visit to the bombed Sbarro pizzeria in Jerusalem and her bringing a wounded Israeli soldier to New York’s Israel Day parade. But all the emphasis on Israel may be greater here among American Jewish activists than among the American Jewish masses, said Susan Turnbull, 55, of Bethesda, a JCPA board member and vice chair of the Democratic National Committee. The domestic issues seem to trump Israel for most Jews, she said, listing the key issues at the JCPA conference — tikkun olam, health care, anti-poverty issues, the separation of church and state and U.S. security — as her own. Where’s Israel on that list? “I think it’s a given,” she said. “I have complete faith in our candidates,” whose staff, she added, have made deep inroads into the Jewish community. At the hotel bar Monday night, a 26-year-old Clinton volunteer and JCPA activist hosted an impromptu “rally” that he couched in terms of solidarity. In fact, the mood was heavy among the handful of people gathered around the small cocktail table to hear him list her achievements. “Young people are caught up in the emotion” of Obama, said Susan Penn of northern New Jersey, whose brother-in-law is Clinton’s pollster. “I don’t think they’ve truly examined the issues,” she added, expressing concern about the momentum and enthusiasm for Obama. Other Jewish activists have taken that information to reach alternative ends — like joining Obama’s camp. Jan Soifer, 50, chair of Austin’s community relations council, wrestled with the question of which Democrat to support, but ultimately decided to volunteer for Obama. She said she wanted to join the winning team. I recall watching Obama’s stump speech late one Saturday night after he had swept the Potomac primaries. After 30 minutes or so, I was beginning to believe him. I was, to put it simply, inspired. But, as he continued to speak, I understood why I could never vote for this man. I still do not know anything about him. For the past few months I have been running a political campaign for a state race. I have been able to see and hear more than one presidential candidate along the way. I noticed, after conversing with different demographics, that young Jewish voters were the most out of touch and misinformed. Why is Paris Hilton famous? She fulfills two main criteria for a movie star: good looks and the media spotlight. Therefore it would make sense to put in her the movies, wouldn’t it? No, not at all. So why do so many young Jews love Obama? Ask any of his followers and they will give you the same answers. “He is new.” “We need a change.” “Anything but Bush.” “End the war.” Etcetera, etcetera. I am ashamed and frankly worried that so many young Jews are infatuated with this man. Why is Obama the “best” option? Maybe he fulfills the two criteria for a great politician: an amazing ability to speak and the media spotlight. But what is missing, as for the infamous Paris, is why that makes him the best candidate. Obama began his political grab for the most powerful position on earth in 2004 during the Democratic convention, when he wooed the masses, and the minority vote, to stump for the Democratic Party. I do not think his young followers know that, nor the old. He used that forum to springboard into the Illinois senate seat. Did we hear anything of his time serving as senator? Did Obama author or pass legislation? Did he vote for most bills presented to him? Do most of the young voters who love him know or care? The truth is, he didn’t even have time to make an impact; he was too busy preparing for his presidential bid. I am not telling people not to vote for him. I am asking young Jews to do the most Jewish of things: Ask questions. I want a president who will finally make a positive difference like anyone else, but I am afraid of what can come of someone who has absolutely no track record. Realizing that the president always has a leather briefcase containing a button to activate nuclear weapons, it is important to know more about whoever holds it. There are many problems a young Jew should have with Obama. For one, he says he wants to repair our image in the Muslim world. Shouldn’t they be repairing their image? What do the majority of Israel- and America-haters across the Muslim world have in common? They have never met a Jew and want us dead. Yet many young Jewish voters want a president who will appease their interests. We are taught to be competitive, get into good schools and get great jobs, yet why are we ashamed of our country that is just as competitive? Striving to be the best has made our lives in this country great. I do not know why we would be ashamed of it. Too many young Jews are busy watching their TiVo-ed shows or worrying about where they are going out that night. All I ask is that you get informed and get involved. I do not think we all understand the impact of this election. Young and old, make sure to ask questions, because if not, the consequences could be dire. 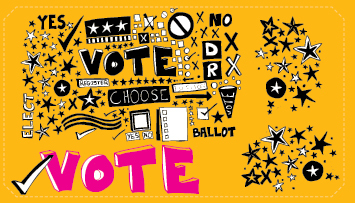 Get informed and vote wisely. What do you take when you set off for a wedding? Many guests will bring a camera along with the gift or envelope, but family history researchers are increasingly known to tuck under their arms a manila envelope filled with blank genealogy charts and photocopied sections of family trees. My most recent manila envelope experience was at a Haifa wedding, where the bride was the grandchild of double Dardashti cousins. My quest that evening was the grandmother’s eight sibling cousins; the only thing I had was their first names. That’s it. While some people might feel targeting unknown relatives at a wedding or bar mitzvah might not be quite appropriate, we genealogists know that these events may be the only chance we have to learn about an elusive family member. The grandmother pointed me in the direction of the cousins’ four tables and introduced me to one of them. In a few minutes, the envelope was open, family tree sections passed around for them to add their full names, name changes, address, phone number, e-mail, spouse name, children and grandchildren. The young men quickly retrieved the required data and brought me the forms, which provided essential information on eight cousins, eight spouses, 35 children, many married and with their own young children — more than 60 individuals in all. The rest of the evening was spent on the dance floor with the bride and groom. After updating the family tree at home, I e-mailed copies to each. An Israeli friend recently went to London for a bar mitzvah and got more than she’d bargained for. As keeper of her family records, she brought some forms and stamped envelopes for relatives to complete and mail back. As she told her tablemates about the project, however, they ripped open the envelopes, scrounged for pens and immediately began completing the forms. Guests at adjacent tables wanted in and the caterer ran off more forms! How can you work family history into a lifecycle event? Besides the manila envelope routine for guests, here are some very useful suggestions that can be adapted for major social events or holiday dinners at home. When it comes to welcoming a new baby, send along a family tree with the traditional gift. These might last longer than the cute clothes. Baby won’t get to it for awhile, but the parents and grandparents will! Honor a bar/bat mitzvah, just entering Jewish adulthood, with a tangible gift illustrating his or her place on the family tree to reinforce Jewish identity, continuity and history. A check is nice, but what happens after it is spent? Gifting a newly married couple with a family history establishes their link in the generation chain. An attractive chart may be framed and displayed and is always a conversation piece. Displays include enlarged mounted copies of detailed family trees. These can even be signed by guests. Ancestral photos — the older the better — inspire conversation. Remember to use copies and keep originals safe at home. Label them with names, dates and places. Add relationships, e.g. the groom’s great-grandfather. Family collections of colorful inscribed kippot can be displayed creatively. An often overlooked source of family data — with names and dates inscribed — these may span several generations. Useful to family historians, they are also functional. A new trend on the West Coast is kippot printed for family holiday dinners — and many also photograph and videotape annual events. In Los Angeles, I’ve even seen elegant black suede kippot designed for funerals of family patriarchs, including English and Hebrew names and dates. One California bat mitzvah displayed a large laminated circular chart, signed by guests, along with a display of old photographs, while a recent New York wedding featured an extensive display of the couple’s family photographs and family trees. Another family with many international branches prepared maps to show the immigration routes of branches from Eastern Europe, and also marked where guests had come from to attend the event. I try to include an updated family tree with the traditional gift for all lifecycle events. While CDs are an option, the “Wow!” factor is much larger with large printed charts. Even if the recipient never frames or displays the chart — you could give it already framed — someone may eventually discover and learn from it. These gifts inspire young family members to utilize the information when their classes study history and immigration. Cousins say these charts have encouraged children to ask questions and interact more with grandparents. Family history software is readily available, making the process relatively painless except for the actual research. Digital cameras and scanners are useful. Extensive information to jumpstart a project is available on JewishGen (www.jewishgen.org). There are online Jewish genealogy classes at GenClass (www.genclass.com). Many Jewish genealogical societies exist and are great resources, useful for networking, learning, informative programs and expert assistance. The most important step is to begin gathering information. Once you start down discovery road, you’ll be amazed at what you can find, what is available and how important your project will become to future generations. Journalist/genealogist Schelly Talalay Dardashti writes the only Jewish genealogy blog — Tracing the Tribe: The Jewish Genealogy blog — under the JTA umbrella (http://tracingthetribe.blogspot.com). She also writes for the Jerusalem Post, JTA, World Jewish Digest and other publications. During the recent winter solstice, 61 Rachofsky family members from Texas and eight other states attended the bi-annual family reunion held at the Marriott Quorum. Attending were 37 from Dallas, as well as family from Houston, the Texas Hill Country, Arkansas, Oklahoma, Florida, California, Colorado, Wyoming, Maryland and New Jersey. They ranged in age from 2 years old to our 90-year-old family matriarch, Norma Ray Gremm. The central focus was a genealogical chart stretching almost 90 feet and mounted in double rows across two long walls of the Marriott’s Mesquite Ballroom. This was accompanied by photos of the three Rachofsky brothers who founded the family dynasty in the United States in the mid-1850s, which now encompasses almost 2,000 descendants. Our first event was an authentic Texas dinner and entertainment at the Trail Dust Steak House, which proved to be a great hit with the rug-rat set. In fact post-reunion feedback reported on behalf of 2-year-old Andrew Wagger of Bethesda, Md. rated the two-story slide there as the highlight of the entire reunion, a sentiment echoed by his 5-year-old brother, Marc, as well as 7-year-old Sam Ray and his 3-year-old brother, Jimmy from Dallas. Mom Sharon Ray remarked how great it was that they could be as active and noisy as they wanted and nobody would even notice. We had a free day for out-of-towners to shop, sightsee and spend time perusing the genealogical charts while meeting new family members and reconnecting with long-lost cousins. On Dec. 25 we all convened for an expansive (both in its scope of offerings and its after-effects on our waistlines) brunch at Furr’s Cafeteria, after which many of us returned to the hotel to spend the afternoon visiting, studying the genealogical charts and sorting out relationships. The Rachofsky family reunion required two-and-a-half years of communication via e-mail with our family researchers, our family genealogist who vetted the research and our e-mail coordinator, all residing in California. The latter received and sent many hundreds of e-mails to family throughout the United States, England and Israel. He is an expert and veteran of many reunions, including his attendance at the first family reunion in 1922 at age 4. Our family researcher printed the name tags on his computer, color-coded to show at a glance from which of the three Rachofsky brothers the wearer was descended. In addition, these name tags reflected not only the wearer’s name but his/her entire genealogy. Some younger family members sported name tags going back nine generations. Our indefatigable family genealogist spent much of his time at the reunion scurrying about among the cousins to record and update the newest family additions. The family history project includes: researching the family tree, documenting family stories and oral histories, digitally archiving photographs and memorabilia, locating and photographing tombstones and putting on family reunions. It is a joint effort made possible through generous contributions of time and resources of many cousins. Our current family researchers have been working on the family tree for nearly 30 years. Today the “big database” of Rachofsky, Kobeisky, Shwayder, Rittmaster, Vitovsky and extended families includes nearly 7,000 people. Nearly 2,000 of those are Rachofsky direct descendants (including spouses). 1. Begin with what you know. For each person, record as much or as little as you know: given name, middle name, surname, nicknames, Hebrew/Yiddish name, dates and places of birth, marriage, immigration, occupation, education. Include spouses of children and grandchildren. Enter contact details for living relatives. For deceased, enter a last address, death and burial information. Write dates clearly (20 Dec 1860 or Dec. 20, 1860) to avoid confusion about whether it is 20/12/60, 12/20/60, 1860 or 1960. 2. Preserve family stories. Family stories have been embellished over the years, but there is generally a kernel of truth. If you cannot find the truth, perhaps someone else can. Record stories no matter how fanciful or impossible they seem. Was anyone married more than once? Any scandals? 4. Organize photos and documents. Document births, marriages, school graduation and military service. Locate photographs, documents, old letters, diaries, newspaper clippings or old religious books (check for handwritten notes). Ask relatives what they have. Make working copies of originals; store originals carefully. Do you have boxes of unlabeled photos in a closet or basement or in albums? Work on labeling; store photos in archival materials. The images may jog your memory or that of family elders — a picture is really worth 1,000 words! Do you have old letters, passports, documents, in any language? Have you inherited a box of “stuff” and never opened it? Bring ancestors’ pictures when interviewing seniors, and ask to see their photos. 5. Contact family. Write, call or e-mail to see if relatives can contribute information. Ask if they have photos of older relatives; if so, ask for labeled copies. Ask if anyone else in the family has started a genealogy project — someone may have already gathered details and records. Work together, share the work and information! 6. Food, phones, libraries. Ancestors’ travels add family favorites to the kitchen repertoire. A preference for sweet or sour may point to origins, as will unusual foods or variant names. Check phone directories locally and internationally for uncommon names. Visit library map departments and Yizkor book collections. 7. Talk about family history. Talk to children, extended family, seniors at holiday gatherings. Pass on traditions and stories. Ask questions; speak about origins, travels, names. Videotape holiday dinners. 8. A journal. Consider keeping a journal when you begin a project. Record your experiences and feelings on discovery road. It may become part of someone’s future genealogical records. 9. Join a society, attend a conference. The International Association of Jewish Genealogical Societies (IAJGS) includes nearly 80 groups, which offer networking, interesting programs, expert help, reference libraries, beginners’ workshops. Annual summer conferences, organized by host societies, offer a full range of more than 100 programs, workshops and events by international experts on a wide variety of topics and geography. The 28th IAJGS International Conference on Jewish Genealogy will take place Aug. 17–22 in Chicago. For more details: www.chicago2008.org. 10. Share information. Draw charts from information; copy and share them, ask for corrections. Give them for gifts: new babies, bar/bat mitzvah, wedding. When you discover new details, share them with relatives around the world. Some may become involved. If they put it on a shelf, their children may find it and contact you. Inspire children and grandchildren to help with a family tree project. According to Pirkei Avot, the world rests on three things: Torah, avodah (prayer) and gemilut chasadim (acts of lovingkindness). Howard and Leslie Schultz provided all three for Akiba Academy last Thursday. The Schultz family has a long commitment to Akiba, and in an act of lovingkindness, commissioned a special sefer Torah to be used by Akiba’s Beit Kineset (middle school). The genesis of the idea began last year, around Howard Schultz’s birthday. Along with Akiba Academy’s Rabbi Zev Silver, Schultz planned the donation of the Torah, which was a year in the making. Schultz inscribed the first word of this special Torah in Jerusalem several months ago. The completed Torah was presented last week in a ceremony attended by all the youth connected with Akiba. It was made slightly smaller than a standard Torah. This is an accommodation to the middle-schoolers, according to Mireille Brisebois-Allen, Akiba Academy’s director of communications. “This Torah will be easier for the students in our Beit Kineset to lift, and they can use it on an ongoing basis,” Allen said. Every Torah is identical, according to Jewish law, from the first to the last of the 304,805 characters. No word or character has been changed from the time the Torah was given on Mount Sinai until today. The feather for the quill used to inscribe the Torah must come from a kosher bird, such as a goose or turkey. Rabbi Faitel Lewin, a sofer (scribe) from New York, came to Akiba last week to finish the new Torah. In addition, the sofer’s services were offered to anyone in the community who wanted a mezuzot, tefillin or Torah “check-up.” Traditionally, mezuzot and tefillin are checked by a sofer twice yearly. Two local synagogues, as well as Akiba Academy and Yavneh Academy, had the rabbi check their Torahs. Over half a dozen families also had the rabbi give their personal mezuzot or tefiillin a once-over. Because Akiba Academy has a tradition of integrating classroom work with hands-on experience, the school’s educators developed a curriculum based on the tradition of sefer Torah for every grade level. From preschool to eighth grade, the youth got to see how the Torah has not changed from the time it was given to Jews at Mount Sinai until now. “In between writing the Torah and the repairs and checks, Rabbi Lewin taught students about the history of the sefer Torah, the quills, calligraphy and parchment used,” Allen said. Sixth-grade students also worked with art teacher Marcy Stollon to design the cover for the new Torah. The landscape scene included a tree in a grass field with the sun, moon and stars floating in a blue-sky background. The students’ design was then embroidered onto the mantle. On Thursday, the final letter was inscribed in the Torah shortly before noon. A Torah parade for all the children, staff and visitors, complete with music and a fire truck, followed. At 2 p.m., Akiba students, including the Schultzes’ eighth-grade grandson Ben Romaner, got to read from their new Torah for the first time. Putting pen to paper — actually quill to parchment — the students of Yavneh Academy of Dallas shared in the completion and celebration, Feb. 7, of a sefer Torah, the Five Books of Moses, donated to Akiba Academy by Howard and Leslie Schultz. The Torah’s last lines were completed by many students at Yavneh. “The Torah is the basis for the way we are to live our lives. To have the chance to write in one, holding the quill as the ink filled in a letter of our Law, is amazing,” Yavneh senior Sam Ames said. The generations are likely to hear from the Yavneh students, as they age, about the day they carried the Torah, which they helped write, under the chuppah, which they designed and built. Beth-El’s Women of Reform Judaism will present experts on the cutting edge of research and treatment for breast cancer to answer your questions at a Race for the Cure Education Night. This panel is free and open to anyone in the Jewish community. Dr. Robyn Young is a medical oncologist, focusing her practice solely on breast cancer. She is the director of the Breast Center at the Center for Cancer and Blood Disorders in Fort Worth. WRJ is teaming Dr. Young with Sarah Pirzadeh, MS, CGC, a genetic counselor working at the Moncrief Cancer Resource Center. If you have a family history of breast cancer or wonder what the genetic risks might be for you and your children, you should know that many women who get breast cancer have no family history of the disease. Education is your best defense against breast cancer! The program will be held on Wednesday. March 5, 6–8 p.m. at Beth-El, 4900 Briarhaven Road, Fort Worth. Seating and food are limited to people who RSVP by March 1. RSVPs should be made to Roberta Gerrick, robertasboutique@aol.com. The program will be held at Congregation Ahavath Sholom on Monday, March 3. The women’s event is sponsored by the Jewish Federation of Fort Worth and Tarrant County with financial support from the Dan Danciger/Fort Worth Hebrew Day School Supporting Foundation. Lunch will be served at 11:45 a.m. with the program following at 12:15 p.m.
Fees are $18 per person for luncheon and program or $10 per person for program only. Your check or charge is your reservation. Reservations for the lunch, program or babysitting, using your credit card, should be made immediately by calling the Federation office, 817-569-0892. Please make checks payable to the Jewish Federation and send to 4049 Kingsridge, Fort Worth, TX 76109. “Flowers Aren’t Enough” is the brainchild of Naomi Ackerman. In 1998, she was invited to do a program on domestic violence for a group under the auspices of Israel’s welfare ministry. Instead of a standard lecture on the topic, Naomi created an original monologue based on interviews with abused women at a shelter in Jerusalem. Since that time she has performed this program in Israel, the United States, Australia and many other places. Ms. Ackerman holds a B.A. from Hebrew University and teaching credentials from the David Yellin Teachers Seminary in Israel. With stage credits in drama and musicals as well as television and film, she is also a professional clown and stilt walker. Currently she specializes in conflict resolution, working to promote peace between Arabs and Israelis. Her most recent project is “Women’s Voices,” a show featuring stories about Middle Eastern women. For more information go to www.naomiackerman.com. Committee members include Terri Kravetz, Linda Hoffman and Susan Fine. Earlier that month, on Nov. 16, the Texas A&M University Texas Engineering Extension Service program along with the Mansfield Police Department honored Blanca for being an “Outstanding Instructor.” She is a commissioned peace officer and state certified instructor with the Texas Commission of Law Enforcement, Officer Standards and Education. Her award was sponsored by U.S. Senator John Cornyn, who provided the grant for training, and presented by Director Tom Sheehan of the Texas Engineering Extension Service. Blanca is recognized for providing outstanding training in Spanish for emergency responders and delivering the course to over 800 police officers in the state of Texas. She set up 44 classes throughout Texas. The training has helped police officers learn Spanish and understand the Hispanic community. As if that wasn’t enough to celebrate, Dan Sherwin was promoted to patrol sergeant by the Mansfield Police Department on Dec. 12. The winter celebrating continued with the brit milah of Matthew and Seth on Dec. 23. Rabbi Alberto Zeilicovich of Congregation Ahavath Sholom officiated and Dr. Al Faigin, president of Ahavath Sholom, was honored as the mohel. The ceremony concluded with a beautiful poem by proud Bubbe Felice Sherwin and a song dedicated to Matthew and Seth by their aunt, Hazzan Robbi Sherwin of Austin. Blanca presented handmade coffee mugs with actual prints of the twins’ feet on them to Richard Ondrizek, M.D. of Burleson, Al Faigin, D.O. of Fort Worth, Dr. Gwen Tang of Arlington, Kevin Doody, M.D. of Bedford and Dr. Carole Rogers of Jewish Family Services in Fort Worth. Blanca recognized all the doctors for having a part in the healthy development and delivery of Matthew and Seth. Happily kvelling over the twins are grandparents Ken and Felice Sherwin of Fort Worth, and Margo and Cliff Constable of Willow Park. For more information on Spanish courses or classes, go to Blanca’s Web site, www.blancasherwin.com. My friend Herbie Bogart tells me that he and Libby made it to their 25th anniversary last Nov. 20; daughter Erin had a second son, James Elliot Scott, last August; and daughter Shawn has moved to Austin and is head cookie decorator for a notable bakery by the name of Quack’s. Shawn has been mentioned in two recent news articles. She was written up in the Austin paper last October for her Halloween cookies, and then again on an Austin American Statesman blog for her election cookies. She is also making cookies for an Obama campaign event sponsored by a women’s group that supports him. “Shawn Blythe and Art Silver show off the cookies that are serving as ballots in a Hillary/Obama cookie poll being conducted at Quack’s 43rd Street Bakery in Hyde Park. If you like Hillary, you buy a cookie with an H, and if you favor Obama, you buy the O cookie. Blythe, the bakery’s cookie decorator, said that, as of Tuesday afternoon, Obama had a 37-21 cookie lead. Silver, who owns the bakery, says they’re just doing this for fun. There is, however, a cookie poll tax. Each cookie costs $1.50. Vote early and often, and don’t forget to wash it down with milk. “‘Political shortbread cookies, Hillary or Obama, your choice $1.50,’ says the sign in the cookie case. You’ve got cookies decorated with red or blue H’s or O’s. You vote by buying cookies. The poll started Monday. The Ladies Auxiliary of Congregation Ahavath Sholom held a very successful donor dinner Friday evening, Feb. 15. Suzie Humphries, a noted Texas celebrity, entertained the audience with anecdotes about her life. She was warm, funny and totally delightful. The Mediterranean-themed dinner, prepared by the hard-working kitchen crew, was delicious. The courses never ended. The dolmas, hummus, soup, kabobs, baked apples, baklava, etc., were all wonderful. For those who requested recipes, they are in the process of being copied and will be made available in the near future. Many thanks to volunteers Elsie Blum, Rose Sankary, Bessie Bodzy, Diane Oberstein, Bootsie Coggan and Graciela Zeilicovich. Their cooking skills and dedication to CAS seem to know no bounds! Thanks also to Maria Loya for her hard work. The new table linens were a beautiful addition and added to the ambience of the Brachman Parlor. Thanks to all for making the event a success. Rabbi Moshe Cotel, who will be presented in “A Jewish Life at the Classical Piano” concert at Congregation Ahavath Sholom, 7:30 p.m. on Thursday, Feb. 28, is a composer/pianist who presents an uplifting, unique mix of classical piano and personal stories. His is unlike any other performance work, sermon or lecture. Rabbi Cotel draws you into his lessons as a masterful storyteller and artist. His presentation is humorous and uplifting. The companion piece to each lesson serves as a reflective pond that embellishes the meaning of the lesson. The music content mirrors each lesson. The accompanying piece is not an afterthought but is equal and integral to the lesson. A dessert reception will follow the concert. A $3 donation will be appreciated. Children are free. This event is co-sponsored by Congregation Ahavath Sholom, the Jewish Federation of Fort Worth and Tarrant County, and Rose and Al Sankary. Rabbi Cotel will also perform in Dallas on March 1 at 5 p.m.
Beth-El Congregation is pleased to announce the continuation of the Live from NY’s 92nd Street YTM program series for the Tarrant County community. The satellite broadcast program series features engaging, candid and provocative interactive discussions with today’s most compelling leaders, artists and authors. This spring’s speakers are no exception. Each program will feature a speaker and discussion from the local area immediately following the broadcast. And if the speakers are not enough to entice you, a delicious dessert buffet will be served during each program. A $3 suggested donation is appreciated and all are welcome. This program is made possible though the generous support of Beth-El Congregation and the Jewish Federation of Fort Worth and Tarrant County. Starting on March 4 at Beth-El is nationally-syndicated radio talk show host Dennis Prager, described in the Jewish Week as “one of the three most interesting minds in American Jewish life.” Prager offers compelling arguments in favor of Judaism, developed over many years of speaking to people from virtually every religion and culture. A popular radio talk show host since 1982, he is the author of “The Nine Questions People Ask About Judaism,” “Why the Jews?” “The Reason for Anti-Semitism” and “Happiness Is a Serious Problem.” He has been a columnist for Moment magazine for 20 years. Mort House, executive director of Jewish Federation of FWTC, will lead a post-broadcast discussion. When she speaks on April 8 at Beth-El, political commentator Cokie Roberts will describe remarkable women who helped build our nation by facing challenges and becoming reformers and advocates for education, orphans and abolition. Roberts and her husband Steve write a weekly column syndicated in newspapers across the country. Her books “From This Day Forward,” which she co-wrote with her husband, and “We Are Our Mothers’ Daughters” were best-sellers. Federation Director Mort House said, “We are excited to have Katie Sherrod, an independent writer, producer and commentator based in Fort Worth, to lead our post-discussion. Sherrod has won several awards in newspapers, radio and TV, including the Dallas Press Club Award for her 2001 PBS documentary “Freedman’s Cemetery Memorial: A Place of Healing,” narrated by Alfre Woodard, and the Exceptional Media Merit Award from the National Women’s Political Caucus. She was inducted into the Texas Women’s Hall of Fame in 1987 for outstanding contributions in the field of communications, and named one of Fort Worth’s Outstanding Women in 1988 and Texas Woman of the Year in 1989. Norman Lear, the creator and producer of Emmy Award-winning television series “All In the Family,” “Maude,” “Sanford and Son” and “The Jeffersons,” will be a Fort Worth guest on April 28. Lear is a pioneer of a genre of programming that addresses pressing social issues with unusual candor. He is the founder and chairman of Act III Communications, a multimedia holding company with interests in the recording, motion picture, broadcasting, publishing and licensing industries. In 1980, Lear formed People for the American Way, which defends constitutional freedoms. Beth-El is proud to welcome two-time Emmy-Award winning writer, Richard Allen, to lead the discussion after the broadcast. Allen also serves as professor and chair of radio-television-film at Texas Christian University in Fort Worth. The recipient of Emmy Awards in 2001 and 2002 as associate writer for CBS’s daytime drama, he is also a three-time Writers Guild Award nominee, and winner of a Soap Opera Award, a Media Access Award and the Environmental Media Award. You can be part of the discussion. Experience community, here and nationally. Learn, listen and question. Together, we are one community dedicated to strengthening Jewish education. Scott Sherwin is a proud member of Congregation Beth Shalom in Arlington and serves on its board. Scott tells the TJP: “One of Judaism’s primary requirements is to the devotion of helping those in need through tzedakah (derived from the Hebrew tzedek, meaning “justice” or what is right). So, what better choice than devoting our efforts by way of the Susan G. Komen Foundation? To that end, we are sponsoring a golf tournament on April 29 at Mansfield Country Club. Though you may be involved or participating in other worthwhile events, there are still ways you can participate and support Beth Shalom’s worthy project. “You might consider playing or gathering others for Shalom’s first-ever benefit golf tournament ($75 per player). Or, you could be a sponsor or a contributor. The week of Feb. 3–10 was full of exciting speakers and activities for the “JCC Without Walls” program. On Monday, Feb. 4, David Saul talked to a group of 20 people about “The Split Between Early Christianity and Judaism.” The next evening, Sara Pirzadeh explained “Hereditary Cancer in the Jewish Population: What You Need to Know” to a small group. On Feb. 6, Rabbi Charlie Cytron-Walker spoke to a group of 15 about “Proving The Bible Through Archaeology or the Development of the Alef-Bet.” Also on Wednesday, Dr. Carole Rogers and Lynell Bond gave “Tips for The Sandwich Generation” to an intimate group. On Feb. 7, Rabbi Sidney Zimelman led 25 people in a discussion about “A Page of Talmud: Unraveling Its Mysteries.” Lastly, on Sunday, Feb. 10, over 30 people gathered to cheer on David Narrett and Louise Vermillion as they competed in “Are You Smarter than a Fifth-Grade Hebrew Student?” hosted by Steve Karten. Seven fifth-graders — Hannah Stansbury, Amanda Leventhal, Sarah Silverberg, Molly Karten, Aaron Lax, Ariella Listig, and Mallory Kleinman — helped both contestants to win an imaginary $1,000,000! Fun was had by all. It was an informative and entertaining week. The events took place at Beth-El, Ahavath Sholom and Beth Shalom and involved participants from all of Tarrant County. It was truly a community-building experience. One program did have to be canceled — “Great Chefs of Tarrant County.” If you are interested in participating as a “chef” (if you like to cook and share your recipes with others), contact Mona Karten at the Federation at 817-569-0892. They may be able to put on this program later in the year. This special event was sponsored by the Jewish Federation of Fort Worth and Tarrant County. The Van Cliburn Foundation has announced plans to honor pianist Van Cliburn on the 50th anniversary of his historic win at the first International Tchaikovsky Competition, which was held in Moscow in 1958 at the height of the Cold War. Cliburn’s anniversary will be celebrated on the great lawn of the Kimbell Art Museum on Saturday, March 1. United States President George W. Bush and Russian President Vladimir Putin have both agreed to act as honorary chairmen for the gala event. Van Cliburn was 23 when he traveled to Moscow to participate in the International Tchaikovsky Competition. Despite Cold War tensions, the Russian people received his performances with overwhelming enthusiasm throughout. His final round concert on April 11, 1958, included the Tchaikovsky Piano Concerto No. 1 and the Rachmaninoff Piano Concerto No. 3. The international audience included Queen Elisabeth of Belgium and her daughter, Marie José, the last Queen of Italy, seated in the imperial box. The awards were presented by Dmitri Shostakovich on April 14, and Van Cliburn received the coveted gold medal. Premier Nikita Khrushchev himself gave permission for the Soviet judges to award the first prize to Van Cliburn; even though he was an American, they considered him to be the best pianist. At home, the victory was celebrated throughout the United States, and included the only New York ticker-tape parade ever bestowed on a classical musician, as well as the May 19, 1958, cover of Time magazine. Shortly thereafter,. Cliburn’s recording of the Tchaikovsky Piano Concerto No. 1 became the first classical LP in history to sell more than one million copies. The gala celebration on the Kimbell lawn will be held in a conservatory-inspired custom tent, boasting red carpet, chandeliers, damask linens and large floral arrangements to replicate the décor found in one of Russia’s Grand Palaces. Former President and Mrs. George Herbert Walker Bush, former President Bill Clinton and Senator Hillary Clinton, Mrs. Tricia Nixon Cox, Mr. David Eisenhower and Mrs. Julie Nixon Eisenhower, Mrs. Gerald Ford, Ms. Luci Baines Johnson, Mrs. Ronald Reagan and Mrs. Lynda Johnson Robb will make the Presidents’ Honor Circle a distinctive part of the March 1 event. Inspired by Cliburn’s extraordinary dedication and artistry, a group of Fort Worth music teachers and private citizens established the Van Cliburn Foundation and International Piano Competition in 1962. The competition is held every four years and is the most visible expression of the Van Cliburn Foundation’s commitment to the highest standards of musical achievement. Today, the competition is regarded as one of the world’s pre-eminent musical events. Continuing Van Cliburn’s legacy of tireless musical outreach worldwide, the Van Cliburn Foundation arranges for its winners to perform hundreds of engagements throughout the United States, Europe and Asia. It produces nationally and internationally broadcast television documentaries and syndicated radio programs, and streams the entire competition live on the Internet. One of my very good friends filled me in on the recent highly successful performance of the Fort Worth Symphony’s concert at Carnegie Hall in the Big Apple. The event was very well supported locally, with some 800 tickets purchased by Fort Worthians. Among those at the Saturday evening performance were Gail Granek, Roz Rosenthal and granddaughter Ashlie and her fiancé, Mary Frances Antweil with her daughter, Julie Silverman of Albuquerque, N.M., and son and family Mark and Suzie Antweil and their daughter, Elexa, of Larchmont, N.Y. Julie, by the way, who had dinner with former ourtowner Becky Victor, brought personal greetings to Becky’s many friends here. Also Melinda and John Hayden (she’s the daughter of Sylvia and Al Wexler, and is a member of the FW Symphony staff). Others were Ellen and Bernie Appel, Marvin and Laurie Blum and daughter, Lizzie, a student at New York University. Marvin is a member of the Symphony board. Also New Yorkers, Michael and Natalya Gilbert, son and daughter-in-law of Cynthia and Burton Gilbert. The young Gilberts were concert guests of grandmother, Sara Betty Gilbert, who will celebrate her 90th birthday in March. On Sunday, the Fort Worth Symphony performed the much loved “Peter and the Wolf” narrated in both Spanish and English by acclaimed actor John Lithgow. Glimpsed in the audience were Roz, Billy and Rosanne Rosenthal, Gail Granek and Leslie and James Gurland and their 5-year-old son, Ari, who is a special favorite of his Fort Worth “Tante” Dr. Carole Rogers. Welcome guest at the Rogers home earlier this week was mom, Anita Dellal of West Orange, N.J.
We mentioned last week that the dedicated trio of amazing women, Natalie Cohn, Hanna Hochster and Pearl Rubin, will be honored for their long association with the CAS Gift Shop at the Ladies Auxiliary Donor Dinner this Friday night following 6 p.m. Shabbat services at Ahavath Sholom. The program will also include the very talented and popular Suzie Humphrey, who during her 20 years as a radio and television talk show host has hobnobbed with movie stars and politicians and interviewed the great and “near-great.” One of her greatest accomplishments is that she is a breast cancer survivor and has helped other women go through the journey as she did. Late reservations can possibly still be made with Linda Lavi. The “Daytimers” are looking forward to a performance by pianist Tamás Ungár, executive director of Piano Texas Festival and member of the TCU piano faculty. The program is scheduled for Wednesday, Feb. 20, at noon, at Beth-El Congregation. In addition to his performing commitments, Tamás Ungár has become one of United States’ best-known and most respected teachers of the piano. As founder and executive director of the TCU/Cliburn Piano Institute and member of the TCU piano faculty, he attracts students from across America and as far afield as Australia, Bolivia, Brazil, Canada, China, England, Germany, Greece, India, Israel, Kazakhstan, Korea, Hungary, Japan, Malaysia, Mexico, Poland, Republic of Georgia, Singapore, Russia and Taiwan. His students have received prizes in national and international competitions, and have performed in prestigious music centers. Dr. Ungár studied with Alexander Sverjensky at the Sydney Conservatorium of Music; with Lajos Hernádi at the Liszt Academy, Budapest; and with György Sebök at Undiana University, where he earned his D.M. As the first performing musician ever to receive the coveted British Leverhulme Fellowship, he served as artist-in-residence at York University during the 1984–85 season. Dr. Ungár records exclusively for CALA Records. The “Daytimers” committee is indebted to Roz Rosenthal for arranging for this outstanding educator and performer. Lunch at $8 per person will be catered by Potbelly Sandwich Works. Guests have a choice of turkey breast, pizza sandwich (marinara, provolone, mushrooms), or tuna salad and Swiss. All are on whole-wheat bread with chips and cookie, coffee or tea. Or guests may attend for just the program for $3. Temple Shalom Sisterhood will honor their 2008 Woman of Valor Laurel Fisher and present “In Her Shoes: An Evening with Jennifer Weiner” on Wednesday, March 26, 7:30 p.m. A dessert reception will follow the event. Temple Shalom is located at 6930 Alpha Road. Be a part of the love/hate affairs of Sisterhood, cleverly told by well-renowned author Jennifer Weiner. Audiences around the world saw “In Her Shoes” come to life on the big screen and now you have the chance to be part of it too, only at Temple Shalom. Breakfast with Jennifer: Only 100 tickets at $50 each will be sold for the breakfast treat. Ten lucky winners will meet with Jennifer for conversation on Thursday, March 27. The drawing will take place on the evening of the event. Tickets are now available online. Go to www.templeshalomdallas.org and click on the event link to purchase tickets. If you prefer to purchase tickets by phone, please contact Julie Bradley at 214-417-3367. For more information on this program, contact Event Co-Chairs Debbie Niederman, debbieniederman@aol.com, or Terri Parker, terrileeparker@sbcglobal.net. Akiba Academy is excited that its third annual Summer Camp: Fun for the Jewish Soul program will run from June 16 to Aug. 1 on its Schultz Rosenberg Campus at 12324 Merit Drive. Both Camp Mazal, for students entering kindergarten through eighth grade (with a half-day sports camp offered for ninth-graders) and Camp Kulanu, for preschoolers, offer quality programming led by professional staff in a warm Jewish environment. Camp Mazal Director Annette Wolk has been successfully involved in Jewish camps — day and sleep-away — for over 25 years. In 2006, Annette received the Most Creative Teacher Award from the Jewish Federation of Greater Hartford, Conn. She currently teaches fifth grade at Levine Academy, Ivrit at Yavneh and religious school at Congregation Beth Torah. Her talents and creativity in dance, drama, music and Jewish education will enrich the fun-filled days at Camp Mazal. Camp Kulanu Director Dorit Schonbrunn has been teaching young children for over 16 years. Currently an early childhood educator at Akiba, Dorit has led toddler and preschool youth programs in synagogues and worked and run day camps. She brings experience, a strong Judaic background and a love of children to Akiba’s summer camp program. Interested parents are invited to meet Annette Wolk and Dorit Schonbrunn on Sunday, March 9 at the annual Summer Camp Open House, from 3:30 to 4:15 p.m. for Kulanu campers, and from 4:15 to 5 p.m. for students interested in Camp Mazal. Early bird specials will be offered! For more information about Summer Camp at Akiba, please contact 214-295-3400 or info@akibaacademy.org. To mark the 60th anniversary of the establishment of the state of Israel, the Tycher Library, located on the second floor of the Aaron Family Jewish Community Center, in cooperation with the Dallas Jewish Historical Society, plans to mount an exhibit of Israeli artifacts and memorabilia. They are asking to borrow personal items which have a special connection to Israel, especially from its early years. They are looking for letters, photos, posters, military paraphernalia and particularly items which have a Dallas-Israel connection. They plan to show the items in the display cases in the west wing corridor of the JCC in May. Please contact Library Director Joan Gremont at 214-239-7132 if you have items to loan. State Senator Florence Shapiro addressed the students and teachers from Memorial Preparatory School of Garland on Feb. 4 to praise them for their project “Every Child Had a Name.” Jim Hogue, museum president, and Senator Shapiro thanked the students and teachers for their tireless efforts and support of the Dallas Holocaust Museum/Center for Education and Tolerance. The students also recognized Wachovia Bank and Regional President Julia Wellborn, for her support of the project. Inspired by the movie “Paperclips” and a class field trip to the Dallas Holocaust Museum/Center for Education and Tolerance, teachers Mary Theobald and Katie Venable and their eighth-grade students decided to collect 1.5 million pennies, one for each child murdered during the Holocaust. “The students wanted a meaningful project that would benefit the museum as well as a positive learning experience. When they are finished they will donate $15,000 to help build a new museum,” Venable said. “We had a facility that was storing the pennies but when the task became too daunting, Wachovia Bank stepped in and agreed to help by storing our pennies. The students urgently need assistance now to reach their goal; they are halfway there, with 750,000 pennies collected so far,” Theobald said. The Dallas Holocaust Museum/Center for Education and Tolerance has plans to build a 35,000-square-foot museum next door to the Sixth Floor Museum. The museum is currently in a temporary space on Record Street in the West End. Jars to help collect pennies can be placed in businesses, and direct donations can be made to this cause by contacting Katie Venable or Mary Theobald at 972-926-2650 or mstheoba@garlandisd.net. Individuals interested in supporting the Dallas Holocaust Museum/Center for Education and Tolerance should contact Stephanie Bohan Gandy, 214-741-7500, ext. 103. Congratulations to Dr. Allan Shulkin, who was appointed by Gov. Rick Perry to the Texas Medical Board for a term that will end on April 13, 2009. Dr. Shulkin has been a physician in private practice at Pulmonary and Critical Care Medicine in Dallas for more than 25 years and currently serves as a member of the board of managers for the Dallas County Hospital District and Parkland Memorial Hospital. The board’s purpose is to protect and enhance public health, safety and welfare by establishing and maintaining standards that will be used to regulate the practice of medicine in Texas. Paul H. Lewis tells the TJP that Diane Benjamin suggested an outstanding program for JWV’s Sunday, Feb. 24 meeting, 9:30 a.m. at the Aaron Family Jewish Community Center. In a departure, instead of a speaker, the JWV and their ladies will hear the very talented Norma Vallis sing for them. Norma, a protégé of Dave Alpert, has made a number of public appearances. Texas Torah Institute will have its fifth annual scholarship dinner and auction on Sunday evening, March 2, at the Brookhaven Country Club. TTI, founded in 2003 by Rabbis Shlomo Pacht and Eliyahu Kaufman, is a traditional boys’ yeshiva serving Texas and the entire Southwest. 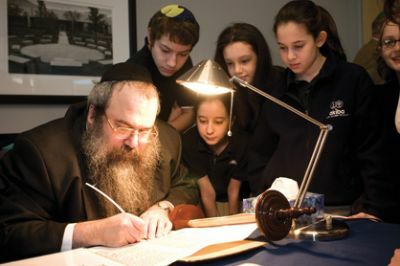 The school aims to provide a classic yeshiva education, including Talmudic textual analysis, alongside a competitive college preparatory program. Heavy emphasis is placed on ethics and character development. The yeshiva, which opened with the two founding rabbis and a pioneer group of eight students, is now in its fifth year with 40 students from 12 cities. Additionally, the staff has grown to six rabbis, an academic dean and six certified general-studies teachers. The yeshiva recently moved into a new educational facility, and plans are under way for the construction of a new dormitory building in the spring. The scholarship dinner is the yeshiva’s primary fundraiser for the year, raising much-needed scholarship funds for families who cannot afford the full tuition but still want their children to have a traditional Jewish education. This year’s guests of honor, Mike and Sandy Nathan, are active and committed members of our Jewish community. The Nathans truly value the yeshiva’s efforts in Jewish education and have involved themselves in its continued growth. Mike is one of the yeshiva’s founding board members and continues to help lead the school with his vision, expertise and fantastic commitment to Torah education. They are truly deserving of this honor. Irvin and Linda Rabinowitz of Atlanta, Ga. will be recognized as Parents of the Year. The Rabinowitzes are pillars of the Atlanta Jewish community, where he is the president of Torah Day School of Atlanta, and both he and Linda are heavily committed to the continued growth of their community. Their sons, Ari and Yaakov, are students at the yeshiva, and Irv and Linda are pleased with their growth and success. TTI is proud to honor the Rabinowitzes as Parents of the Year. Last year’s dinner was a phenomenal success, bringing together people from across the spectrum of the Dallas Jewish community for an evening of inspiration and enjoyment. This year’s event promises to be the same. For more information, or to make reservations, you can call the main office, 972-250-4888. Members of the National Council of Jewish Women, Greater Dallas Section (NCJW) are thrilled that past president and longtime volunteer Syl Benenson has been chosen by NCJW, Inc. as the recipient of the Enduring Pioneer Award, to be presented at the National Convention in Chicago in March. This award honors an individual NCJW member who has been instrumental, in two or more identifiable ways, in moving her section toward accomplishing NCJW’s mission in a pioneering way, over a period of 10 or more years. This is the highest award given to an individual member by National, bestowed on only one recipient nationwide each year. No one from Dallas has ever received this esteemed recognition, and Syl is certainly deserving of the honor. She has been a member of the Dallas Section for over 40 years, but her contributions to NCJW and the Dallas community reflect a commitment far in excess of that. She serves as a role model to their members and an example of what volunteerism and advocacy should be. On behalf of the Greater Dallas Section of NCJW, Syl approached the Dallas Independent School District in 1979 about the possibility of initiating the Home Instruction for Parents of Preschool Youngsters (HIPPY) program in the district. HIPPY is a parent-involvement, school-readiness program that helps parents prepare their 3-, 4-, and 5-year old children for success in school and beyond, and empower themselves as their children’s first teacher by giving them the tools, skills, and confidence they need to work with their children in the home. The program was developed by NCJW at their research institute in Israel in 1969. After nine years of courting DISD, Syl was successful in launching the program in 1988. She has continued to work tirelessly for the past 20 years, expanding the program to the Grand Prairie, Irving, and Richardson school districts, providing service to more than 1600 families annually. • Driving force behind their HIPPY program, and succeeded in getting the Texas Department of Protective and Regulatory Service to help fund four sites for six years in Houston, San Antonio, and Austin, providing a program serving 3-year-olds. In celebration of the 20th anniversary of HIPPY in Texas, Syl will be recognized by the Texas Parent Child Initiative at a reception on February 21, 6:30–8 p.m. at the Latino Cultural Center. She will also be recognized at the Dallas YWCA’s 100 Women/100 Years Centennial Awards gala on May 3. This award is given to women who have made a meaningful and lasting contribution to Dallas in the last 100 years. NCJW members marvel at Syl and wonder where she conjures up the extra hours and days to do all she does — and how she finds time to identify and draw new young members into her programs — serving as mentor, coach, and friend to all. Syl has announced that as a final act of “giving” she has willed her body to the University of Texas Southwestern Medical School. We are sure they will find a large and very special heart. National Council of Jewish Women is a volunteer organization that, for over a century, has been at the forefront of social change — championing the needs of women, children, and families. NCJW has over 3000 members across Texas, including 1200-plus members in the Greater Dallas area, and approximately 100,000 members and supporters nationwide. Temple Emanu-El Sisterhood will celebrate their “Love of Sisterhood” Donor Luncheon at 11:30 a.m. on Wednesday, April 2, at Temple Emanu-El. The first annual Rabbi Gerald J. Klein “Love of Sisterhood” award will be presented to Barbara Zale. Master of ceremonies will be David Schechter, senior reporter at WFAA -TV. Guest speaker will be the nationally-known humorist Janet Sue Rush. For information please contact Susan Chazanow, 972-931-6088. Jordana Cohen, sister of Trevor Cohen, granddaughter of Lily Harris of South Africa and daughter of Avrille Harris-Cohen, director, Texas Region Bnai Zion, once again has been named to the Dean’s Honor Roll of Scholars at the University of North Texas. Only students who have earned a 3.5 or higher grade-point average on a course load of 12 or more hours during the semester earn the distinction of the Dean’s Honor Roll. Jordi has consistently achieved this academic honor in her studies of forensic psychology. She is currently applying to be the research assistant to the professor of forensic psychology. Jordi graduated from Plano East Senior High in 2005 the same time as her brother, Trevor, graduated from SMU Cox School of Business with a 4.0 GPA. Trevor was recruited four months before graduation to work for Bear Stearns, where he is achieving much success within investment banking. After his marriage to Addison Reed in Cabo San Lucas, Mexico, the young couple will live in Dallas. Addison is the daughter of Dan and Martha Reed and sister of Gabe. In the recent TJP camp section, Chabad of Plano’s Camp Gan Israel open house was announced for Feb. 24 at 4 p.m. The date has been changed. The open house will now be on Sunday, March 9 at 4 p.m. It will take place at the Lang Chabad Center, 3904 West Park Blvd. just east of Coit in Plano. There is no RSVP necessary; child care will be available. For more information, call 972-596-8270 or visit www.chabadplano.org. The Dr. Harvey J. Bloom Post 256 of the Jewish War Veterans of the United States has chartered a new Boy Scout troop. Troop 2256 will have an Open House on Sunday, Feb. 17, 7 p.m. at Cong. Beth Torah, 720 Lookout Drive in Richardson. All interested adults and youth are invited. For additional information, please contact troop2256@peoplepc.com. The Jewish War Veterans of the United States (JWV), established in 1896, is one of the oldest veterans’ organizations in our country. It aims to encourage liberty and justice, to foster love of country and to promote sound minds and bodies. JWV has a long history of cooperating with and supporting existing educational institutions and establishing new ones. Boy Scouts of America is one of the foremost providers of youth educational programs. For almost a century, it has instilled in youth the values and knowledge they need to become leaders in their communities and country. Scouting helps youth develop self-reliance, strong character, respect for others, good citizenship skills and physical and mental fitness. The compatibility of these two organizations is clear. JWV sums it up: “We recognize the need to train our youth to be good citizens, and that scouting programs are excellent tools to accomplish this.” Scouting, in turn, has benefited greatly from this association, and the National Jewish Committee on Scouting presented the JWV with the Mortimer I. Schiff Award in recognition of its decades of support and cooperation. Troop 2256 was organized not only to accomplish all these aims, but to bring fun, adventure and new skills to youth in the Greater Dallas Jewish community. The Open House will include an introduction to Troop 2256, some “scout skills” instruction, refreshments and door prizes. Four performances are scheduled at “the J” for this week’s presentation of “Guys and Dolls.” The stellar cast looks forward to the opening on Thursday night, Feb. 14, at 7:30, another performance Saturday evening at 8 and two on Sunday, at 2 and 8 p.m. Cast in the role of Sarah Brown is the immensely talented Olivia Kuper Harris, a junior at the Booker T. Washington High School for the Performing and Visual Arts. Playing opposite her, in the role of Sky Masterson, is Brian Daniels. With a degree in music from Butler University, Brian has performed many roles including Nanki-Poo in “The Mikado,” Aeneas in “Dido and Aeneas” and Ham and Shem in “The Ark.” He will sing with the Fort Worth Opera Chorus in their upcoming season. Sherry Etzel makes her debut with the J Players as Adelaide. Sherry has performed with many theater companies throughout the DFW area and is a member of the comedy/improv troupe 4 Out of Doctors. She won a 2006 Column Award for her portrayal of Sister Robert Anne in ICT’s production of “Nunsense.” Michael Vouras returns to the J in the role of Nathan Detroit, Adelaide’s fiancé, after portraying Lt. Cable in “South Pacific” in 2007. Cast members from the Jewish community include Herb Bennett (Big Julie), Lesley Chudnow (Mission Doll, Dancer), Lori Cohen (General Cartwright, Dancer), Matt Kurtzman (Crapshooter, MC), Melissa Kurtzman (Mission Doll, Dancer), Brian Landa (Rusty Charlie), Casey Cohn Mack (Mission Doll, Dancer), Zelda Mash (Mission Doll, Waitress), Rob Shrell (Harry the Horse), Jerome Stein (Nicely Nicely Johnson) and Jourdan Stein (Mission Doll, Dancer). Cast members from Dallas’ theater community include Ellen Bond (Hot Box Girl), Amanda Durbin (Dance Captain, Asst. Choreographer), Tracy Nachelle David (Mission Doll), Evan Gabel (Lt. Brannigan, Crapshooter), Howard Hand (Arvide Abernathy), Hal Heath (Scranton Slim, Pickpocket), Elise Libbers (Dancer), Becca Mazzia (Dancer), Phillip Ocampo (Benny Southstreet), Julio Olquin (Liverlips Louis, Joey Biltmore), Katrene Jonas-O’Toole (Mission Doll, Waitress), Bethy Thomas (Dancer) and Shay Thompson (Dancer). Bring the whole family! You won’t be sorry! It’ll be a BLAST! Tickets are: adults, $15 in advance/$20 at the door; students and senior adults, $12 in advance/$15 at the door. To order, call 214-739-2737 or purchase online at www.jccdallas.org. Tod Robberson, veteran foreign correspondent and currently an editorial columnist for the Dallas Morning News, will be the guest speaker at Beth Torah Men’s Club monthly breakfast on Sunday, Feb. 24. Robberson served more than two decades as a foreign correspondent for Reuters news agency, the Washington Post and the Dallas Morning News. At various times he was based in Lebanon, Colombia, Panama, England and Washington, D.C.
As part of his coverage of the Middle East, Europe and Latin America, he has focused in recent years on the Arab-Israeli conflict and the wars in Iraq and Afghanistan. Tod currently is a member of the DMN editorial board, helping formulate the newspaper’s positions and writing editorials and columns on international issues. The breakfast begins at 9 a.m. at Beth Torah, 720 West Lookout Drive in Richardson. It is open to the public and costs $7 for members, $10 for non-members. For more information, call the synagogue at 972-234-1542. A special sneak preview of “Bonneville,” a story about three friends who “come of age” for a second time on a trip across the great American West, will be screened in the Zale Auditorium at the Jewish Community Center of Dallas, 7900 Northaven Road, on Wednesday, Feb. 20 at 7 p.m. The free screening is open to the community. Christine Baranski will be on hand to conduct a Q & A following the screening. Seating is on a first-come, first-served basis. Bonneville opens in theatres on Feb. 29. Faced with the decision of a lifetime, Arvilla Holden, played by Jessica Lange, loads up her 1966 Bonneville convertible and, with her two friends, sets out from Pocatello, Idaho en route to Santa Barbara. As they detour to spots like Bryce Canyon and Las Vegas, the women realize that Arvilla has something unexpected in store. What they don’t realize is that what began as a simple trip will end up becoming a chance to rediscover themselves, their friendship, the importance of promises — and of letting go. Also starring Tom Skerritt and Christine Baranski, “Bonneville” unites three of the most acclaimed actresses of our time in a story that celebrates fun, adventure and living life to the fullest. On Thursday, Feb. 21, the National Council of Jewish Women, Greater Dallas Section will convene an important community conference: “Nation of Immigrants: 21st Century Challenges.” The conference will explore the complex issues surrounding immigration, highlight the needs of immigrants and promote communication and coordination among area groups that serve immigrants. Doris Meissner, former commissioner of the U.S. Immigration and Naturalization Service and currently senior fellow at the Migration Policy Institute, will be the keynote speaker. Also on the agenda is a morning plenary panel discussion on local perspectives followed by two sessions of eight concurrent workshops. Registration is $40 per person, or $30 per person for three or more from the same organization. After Feb. 11, registration is $50 per registrant. For more information and to view the conference invitation, please go to www.ncjwdallas.org. To mark the 60th anniversary of the establishment of the state of Israel, the Tycher Library, located on the second floor of the Aaron Family Jewish Community Center, in cooperation with the Dallas Jewish Historical Society, plans to mount an exhibit of Israeli artifacts and memorabilia. They seek to borrow personal items which have a special connection to Israel, especially from its early years. They are looking for letters, photos, posters, military paraphernalia and particularly items which have a Dallas-Israel connection. The items will be shown in the display cases in the west wing corridor of the JCC during the month of May. Every year, in an effort to help its students improve their spelling, increase their vocabularies and develop correct English usage, Akiba Academy enthusiastically participates in the Dallas County Schools Spelling Bee contest. On Tuesday, Jan. 29, middle-school teachers Susan Jacobs and Lili Feingold greeted the students chosen to represent grades five through eight at Akiba’s Spelling Bee event. The winner of this competition is subsequently invited to compete against all the other private schools’ winners from Dallas County. One by one, students attempted, and in some cases failed, to spell their assigned word. Unfortunately, quite a few stumbled over “sombrero” and “chimichanga” but in the end, fifth-grade student Benjamin Allen, son of Mireille and Ira Allen, was the last one standing, thanks to his ability to spell the word “incognito.” “When I heard what my word was, I smiled because I knew immediately how to spell it. I just had to concentrate and not make a mistake,” Benjamin exclaimed shortly after winning the competition. Sixth-grade student and runner-up Shane Appell, son of Mindy and Martin Appell, proved to be a fierce competitor as the final exchange between the two students lasted for what felt like, for audience members, many nail-biting minutes. Dallas County is the only county in the region permitted to send two representatives to the Regional Bee: one for public schools and another for private schools. The winner of the Regional Spelling Bee is sent to the Scripps Howard National Bee Championship in Washington, D.C.
Benjamin and Shane’s classmates were very proud of their friends’ accomplishments: Congratulatory comments were heard throughout Akiba all week long. Thank you to Ms. Jacobs for “BEEing” Akiba’s Spelling Bee coordinator! Waldman Bros. LLP, a leading independent insurance and financial services firm, has announced the promotion of Tom Callanan to president of the commercial insurance division and Linda Trejo to senior vice president of the commercial insurance division. Callanan brings more than 20 years’ insurance experience to his new role as president, expanding upon his current role of managing the commercial insurance operations. He joined Waldman Bros. LLP in 1998 as marketing manager and eventually became senior vice president of the commercial insurance division. Prior to Waldman Bros., he held commercial underwriter positions with Safeco, CNA, Utica and Kemper insurance companies specializing in coverages for all types of businesses. Callanan earned a Bachelor of Arts degree from the State University of New York at Albany and holds the Chartered Property and Casualty Underwriter designation and the Associate in Underwriting designation from the Insurance Institute of America. He is also a member of both the Independent Insurance Agents of Dallas and Independent Insurance Agents of Texas. In Trejo’s new position as senior vice president, she will expand upon her current role as supervisor of the commercial insurance division. She brings more than 30 years of insurance expertise to her new role. Trejo began her insurance career in 1974, providing support as a personal lines/commercial lines account manager and all aspects of insurance accounting. She joined Waldman Bros. LLP in 2000, as a commercial insurance account manager. Trejo is a designated Accredited Customer Service Representative and is a member of both the Independent Insurance Agents of Dallas and Independent Insurance Agents of Texas. CONCORD, N.H. (JTA) — Asked to write an editorial explaining why the Jewish community should support former Arkansas Gov. Mike Huckabee for president, I wondered which aspects of his record I should highlight. Of course, the cliché pitch to the Jewish community is to emphasize a candidate’s pro-Israel credentials, and Huckabee is a strong supporter of the Jewish state who has visited Israel nine times. But fortunately, all of the major candidates in both parties are officially pro-Israel, so most Jews will be choosing their presidential candidate based on other issues. Should I focus on his achievements in education and health care? Time magazine named him one of the top five governors in the nation for his innovations in health care. He expanded health care for children, eliminated vending machines in public schools to curb childhood obesity and created incentives for small businesses to offer health insurance. Governor Huckabee signed landmark legislation to provide music and art education to all children in his state, raised quality standards and increased transparency and accountability. Under his tenure, the Arkansas school system went from one of the nation’s worst to one of the best. Huckabee was the only candidate at a recent Republican debate to address the struggle so many Americans are having in today’s economy. He has also proposed an ambitious program to cut carbon emissions, end energy independence and fight global warming. On all these issues — even where I disagree with the governor, such as his workplace smoking ban — Huckabee seems to be a perfect fit with the political mainstream in the American Jewish community. Yet many Jews refuse to give Huckabee a chance because they see him as the newest incarnation of the old bogeyman, the “religious right”: He ran ads in Iowa referring to himself as a “Christian leader” and religious rhetoric flows freely from his pastoral tongue. As a prerequisite to discussing the merits of a Huckabee presidency, it is necessary to examine the Jewish attitude toward Christian religious expression in politics. Religious rhetoric isn’t unique to Huckabee or even the Republicans. It wasn’t Huckabee who promised a congregation of evangelicals in South Carolina, “We’re going to keep on praising together. I am confident that we can create a Kingdom right here on Earth.” That was U.S. Sen. Barack Obama, a Democratic presidential hopeful. Jews might not agree with the political philosophy of evangelicals, but there’s no denying they are Israel’s greatest friends. While it’s important to maintain a healthy skepticism, we must recognize who our true friends and allies are. It is imperative that the Jewish community adopt a more mature view of American evangelicals instead of the ghetto mentality that automatically assumes that all committed Christians are our antagonists. Many of our old alliances have broken down; expressions of hostility to Israel, Zionism and even Judaism are increasingly frequent in some quarters on the left. Meanwhile, evangelicals have risen to -Israel’s defense and refrained from missionary activities directed at Jews. Our shared agenda doesn’t end at Israel. For decades it has been evangelicals like Mike Huckabee who have led the fight against poverty and who are now pushing for good stewardship of the environment, a solution to the AIDS epidemic in Africa and an end to human rights violations around the world. The great rabbi and social activist Abraham Joshua Heschel marched with the Rev. Martin Luther King Jr. — a Christian leader — to promote civil rights. Perhaps it is time for Jews to join forces with another Baptist minister to confront the challenges of the 21st century. Jason Bedrick is a member of the New Hampshire House of Representatives. ST. PETERSBURG, Fla. (JTA) — A year ago, I had the pleasure of accompanying Gov. Mitt Romney on his trip to Israel. Governor Romney met with key, senior Israeli economic, political and military officials in order to assess the unique challenges facing America’s closest ally in the region. This allowed me to see firsthand his pragmatic approach to problem solving coupled with tireless motivation. The combination was refreshing and inspiring. His respect for differing points of view and ways of life is compassion at its best. Now, more than ever, we need this kind of leadership for America. With a leadership style developed over decades in the private sector, Governor Romney has been successful throughout his career. In the business world, companies must change, challenge assumptions and innovate. As the CEO of Bain Capital, Romney invested in over 150 companies like Domino’s Pizza, Staples and Sports Authority, and helped develop successful business plans. Bain Capital is now among the nation’s five largest private equity firms. At the peak of his business career, Mitt was asked to take over the 2002 Winter Olympics in Salt Lake City. At that time, the Olympics were beset by scandal and had fallen deeply into debt. Mitt took over andturned things around. The result was one of the most successful and profitable Olympics in history, even in the face of security concerns following 9/11. Mitt brought leadership to Massachusetts. His accomplishments as governor were impressive — strengthening education, laying the foundation for health insurance for all, cutting the size and cost of government. Without raising taxes or increasing debt, he closed a nearly $3 billion deficit. Each year he filed a balanced budget without raising taxes. By eliminating waste, streamlining government and enacting comprehensive economic reforms, Governor Romney transformed deficits into surpluses. As president, Mitt will govern by emphasizing his core principles: faith in free enterprise and free trade, accountability in education, personal responsibility, tolerance, strong families and a strong national defense. Our country faces what could be a defining moment in shaping its history.Mitt Romney can provide the kind of leadership that is sorely needed. Americans are losing faith in Washington and our elected officials. We need a proven leader and executive like Mitt Romney, not another lifetime politician who has never run a corner store, let alone the largest enterprise in the world. I am confident that millions of Americans will conclude that we deserve no less than Mitt Romney as the next president of the United States. Mel Sembler, national finance co-chair of Romney for President, was U.S. ambassador to Italy and honorary chairman of the Republican Jewish Coalition. BOSTON (JTA) — The 2008 primary election already is shaping up to be one of the most interesting, and unpredictable, in years. Never before have both parties lacked a clear frontrunner with, as of this writing, at least three Republicans and two Democrats all having a plausible shot at their parties’ nominations. 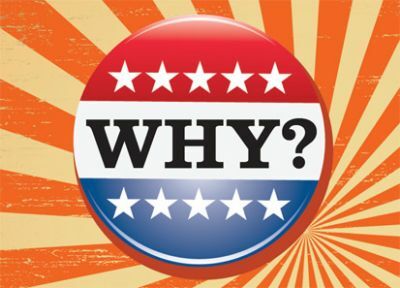 Moreover, in an unusual reversal from recent experience, most Democrats express satisfaction with all their leading candidates — perhaps eight years of “Anything But Bush” has lowered their standards — while most Republicans are dissatisfied with theirs. But where is the “Jewish vote”? In the Democratic Party, which is my focus here and which usually attracts three times as many Jewish votes as the Republicans, Sen. Hillary Clinton (D-N.Y.) seems like the safer bet. Both candidates support roughly the same center-liberal social policies that resonate with many American Jews, but when it comes to Israel, Clinton benefits from her husband’s track record, which, while controversial at the time, is now generally regarded positively by American Jews. Of course, during her time as First Lady, Clinton herself rankled segments of the Jewish community, most notably when she met with Suha Arafat and seemed to call for an Israeli withdrawal from the West Bank. But today, she seems to hold an edge. I want to suggest, however, that an Obama presidency would be of enormous benefit to a 21st-century Israel, not because Clinton is dangerous in some way, but because Obama could reverse eight years of deepening hatred of America. The guiding principles of President George W. Bush’s foreign policy have been unilateralism and exceptionalism. With contempt for international institutions such as the United Nations, and with a neo-conservative policy of remaking the world in capitalism’s “democratic” image, the Bush administration has managed to alienate traditional U.S. allies and further enrage America’s enemies. By invading Iraq on the thinnest of pretexts, by ignoring international efforts on climate change and human rights, and by its demonstrably cavalier attitude toward cooperation, the Bush administration managed to move world opinion from one of intense sympathy with America after 9/11 to almost worldwide hatred of all that we stand for. Traveled in Europe lately? People shake their heads when they find out you’re American. For some conservatives, none of this matters much. They’ll hate us anyway, the reasoning goes, and we weaken ourselves by trying to make them like us. What matters is strength and solidity of purpose. Of course, many American Jews and Israelis make the same argument about Arab nations and the Palestinians: Carry a big stick, and talk however you want. Whether for vaguely racist reasons — “Arabs only understand violence” — or for strategic-political ones, many Jews have argued that only a policy of strength and resolve will succeed. And so they have applauded Bush’s support of the Israeli government, which generally has followed such a policy. Yet even if this policy of fear-us-don’t-love-us makes sense for Israel itself, it is dangerous for Israel when it is applied to America. Israel long has been regarded as an American proxy state, not only on college campuses and in French coffeehouses but throughout Europe and Asia. But now it is seen as the proxy state of imperialism. Israel is widely regarded as the baby brother of a violent, selfish bully, oppressing the Palestinians and pointing to its mean elder sibling if anyone dares to complain. This may not be how Israel -actually has behaved, but it is how it is perceived. Enter President Obama. Yes, it matters that he is black, that his first his name is Barack and that some people keep mispronouncing his last name as Osama. Internationally, it matters for the good. But beyond these superficial aspects, Obama is a different kind of politician: eloquent, sincere, talented and visionary. He is an internationalist, educated abroad as well as here. Yes, Clinton, too, likely would be an internationalist, but Obama is the real deal: He has lived overseas, and his multi-ethnic background is a truthful representative of the minority-white America that soon will come to pass. Even more than a female president, Obama meaningfully could shift the way America is perceived in the world, both through his simple appearance and his more significant substance. No more America versus the world; Obama represents an America that is connected to the rest of the world. All this would be of great benefit to Israel. Obviously, Israel still will be demonized, hated and misrepresented throughout the Arab world and beyond. We should not be naive. But the less stark the opposition between America/Israel and the Muslim world is perceived to be, the better for all of us who want to find some way to coexist — not love each other, not embrace one another, but share a small strip of land and reduce the appeal of extremists. This is why the outrageous “Obama is a Muslim” e-mails, circulating widely in the Jewish world and duly condemned by all responsible Jewish leaders, are as wrongheaded as they are inaccurate: It’s precisely Obama’s international, multicultural background that makes him such a promising leader for Israel’s greatest ally. Of course, we ought not elect our president based on what we think will please our enemies. But, lest we forget, the president of the United States used to be called the “leader of the free world.” That title has been a joke for the last eight years, but it’s a phrase worth remembering. This isn’t about pandering to those who hate us; it’s about leadership, and rebuilding badly frayed relationships. Israel needs an American ally who inspires not intimidation — Bush — or even mere respect — Clinton — but a sense of commonality around the globe. Just imagine yourself waking up in Tel Aviv on Jan. 20, 2009. If you don’t think the world changes when President Barack Obama takes office, and if you don’t see how important that could be for a malaise-ridden Israel, you’re obviously still asleep. Jay Michaelson is a visiting assistant professor of law at Boston University Law School and the founding editor of Zeek: A Jewish Journal of Thought & Culture. NEW YORK (JTA) — In February 2002, after 9/11 and during the second intifada, few visitors came to Israel. One who did was Hillary Clinton. She met an Israeli soldier named Natan, an Ethiopian Jew who had jumped on a terrorist carrying a bag full of explosives. Natan had miraculously survived the explosion. She invited him to walk with her in the next Salute to Israel Parade in New York. So when Hillary takes the lead in fighting anti-Israel discrimination, including her successful advocacy of Magen David Adom’s right to be included into the International Red Cross, it is not some mere political gesture. It is a cause she holds deep in her heart having seen firsthand the struggles of the Israeli people. On that same trip she visited the Sbarro pizzeria in Jerusalem following the suicide bombing there. She then brought the press to Hadassah Hospital to visit the victims of that horrible attack. Hillary talked privately with victims and families to guide them on making their lives whole after such devastating terror. In 2005, while inspecting the security fence at Gilo, she saw an apartment pockmarked with bullet holes and landscaped not with flowers and shrubs but with sandbags to protect its residents. Not content to settle for routine affirmation of Israel’s right to exist as a Jewish state and its right to self-defense, she repeatedly has defended Israel’s security fence as an effective deterrent. She also stands with Elie Wiesel in exposing anti-Israel bias and anti-Semitic language in Palestinian schools and textbooks. She voted in the Senate to declare Iran’s Revolutionary Guards a terrorist organization. She was the first presidential candidate to propose an economic stimulus plan to fight the looming recession. She has fought for health care reform. She has fought for equal pay for women and for a woman’s right to choose. She believes America’s future demands greater educational opportunities for all. There is a close bond with Israel in this as well. In 1985, as first lady of Arkansas, Hillary learned about an innovative Israeli preschool education program created by Hebrew University and worked to bring the initiative to her state. The Home Instruction Program for Preschool Youngsters, or HIPPY, was so successful that Hillary worked with the National Council of Jewish Women to implement it in other states. This is Hillary Clinton and what she stands for. This is why all Americans should join in making her the next president of the United States. Susie Stern is the immediate past chair of the board of UJA-Federation of New York and immediate past president of the National Women’s Philanthropy of United Jewish Communities. Steve Grossman is a past president of the American Israel Public Affairs Committee and former chairman of the Democratic National Committee. WASHINGTON (JTA) — Americans are voting in a tightly contested election that will help determine the next president. In this election, however, we are not just choosing our next president. We are also choosing our commander-in-chief — the person whose No. 1 job will be to defend our nation at a time of war. And have no doubt: We are at war. Although much of this war unfolds in the shadows, it remains deadly real. Every day, in fact, our terrorist enemies are working feverishly to strike at us and our allies around the world, from Iraq to Afghanistan and — if given the chance — right here at home in America. From the moment the next president steps into the Oval Office, he or she will be confronted with life-and-death decisions that will make the difference between victory and defeat in this war. That is why I believe we need a president who is ready to be commander-in-chief from day one — a president who won’t need on-the-job training. And that is why I have decided to cross party lines to endorse U.S. Sen. John McCain for president. It is unusual for someone who is not a Republican to support a GOP candidate for president. But the dangers we face as a nation are too profound, and the challenges we face too real, for us to play partisan politics with the presidency. After all, the Islamist extremists we are fighting in this war do not distinguish between Democrats and Republicans. They want to kill all of us, irrespective of our political differences, because we are all Americans. I have worked with Sen. McCain on just about every major national security issue over the past 20 years — from stopping the genocide in the Balkans, to reducing our dependence on foreign oil, to creating the 9/11 Commission and enacting its recommendations into law. Time and again, he has risen above negativism and petty politics to get things done for the country he loves. Sen. McCain has dedicated his life in service to America. He has fought in uniform on the front lines against America’s enemies, and has been tested under fire like no other candidate in this race. More than experience makes Sen. McCain qualified to become president: his character and leadership. Throughout his career, John McCain has proven that we can trust him to do what is right for our country, not only when it is easy, but when it is hard — and to do what is necessary, not only when it is popular, but when it means standing against the tide. When others were silent, John had the courage and conviction to sound the alarm about the mistakes we were making in Iraq, and to call for more troops and a new strategy. When others wavered, and were ready to flee the field of battle, John had the courage and conviction to stand against public opinion and fight for the surge in Iraq — where at last today the forces of Islamist extremism are on the run, and we are winning. This is the kind of leadership we need in the years ahead — and it is the kind of leadership that you can expect when John McCain is in the White House. Many fine people are running for the presidency. But when it comes to keeping America safe and solving our most important problems, I believe that John McCain is the candidate who has the experience, strength and character to bring us together and lead us forward. We need a president who is a proven leader on national security matters: someone who can reunite our country, restore faith in our government and rebuild confidence in America’s future. John McCain is just that person. I urge you to vote for him. Joe Lieberman is a U.S. senator from Connecticut.